Back before the internet, mobile telephones, advanced hair-straightening technology, drinking responsibly and Facebook, back when Gladstone had full employment and a breakdance crew, there was the Queensland Alumina Social Club (QASC) Function Room – and their discos were legendary. “It’s not something I necessarily want to publicize, but everyone knew it was where all the under-agers used to go to have their first drink, and clubbing experience,” he said. 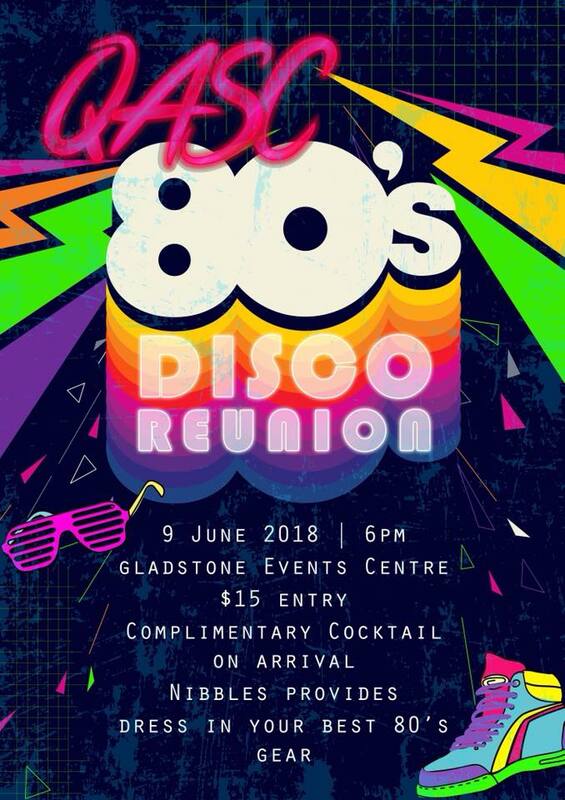 Shane was reminiscing with some friends last year about those wild young days, and it’s those conversations which have grown into the QASC 80s Reunion Disco, being held on June 9 at the Gladstone Events Centre at Yaralla Sports Club (formerly the QASC). I said: “wouldn’t it be good for us all to get together for a bit of a night” so we started the Facebook page with 20 or 30 of us and now there’s over a thousand people on it,” Shane said. 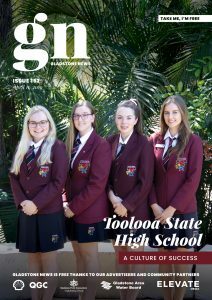 “It got too much for me, so I approached the Gladstone Events Centre at Yaralla and said: “Look, there might be an opportunity here for you guys to do something with this,” he said. Even though it’s a cheap night out at $15 a head including a welcome cocktail (potentially Passion-Pop based) the reunion can’t compete with 1985 prices. “There were always good drink specials and ten-dollar jugs of rum and coke. You could have a night out for ten bucks basically and walk out of there plastered,” Shane said. Drink Responsibly. And if you’re going to Pop N Lock, please consult your chiropractor.